All aboard! 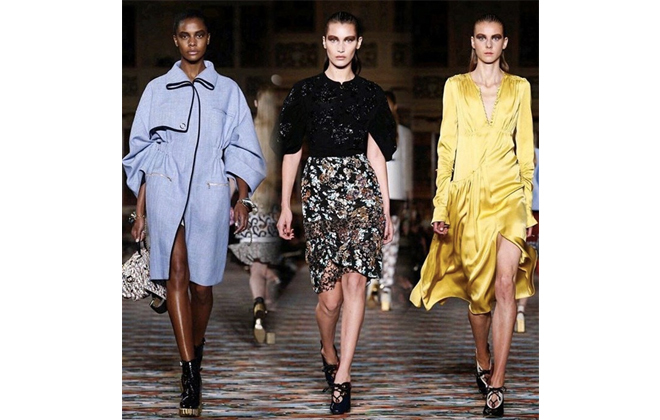 Last week, Dior made its highly anticipated return to the splendid Blenheim Palace for their 2017 Resort show, pulling out all the stops along the way. The day long event was not without its fair share of opulence, from the pop up Lady Dior Pub in London, where guests could sip refreshments while waiting for the fabulous Dior Express, a take over of the Orient Express decked out with fine china, high tea, and a three course meal topped off with champagne, and of course the amazing Oxfordshire palace itself, with its 18th century baroque architecture that has been dubbed a UNESCO world heritage site. I think this must have been quite an unforgettable experience for the privileged attendees, regardless of whether they liked the new collection or not. Good way to woo folks. I would have been wooed for sure. 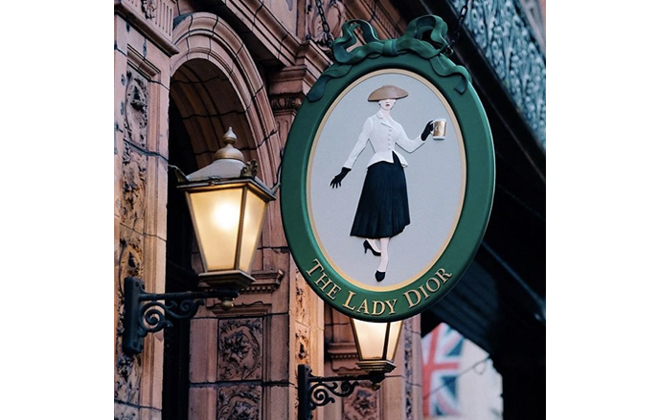 The Lady Dior pub. It lasted for one day! Photo: Courtesy of Dior Official / @dior. Cover photo courtesy of Emma Roberts / @emmaroberts. 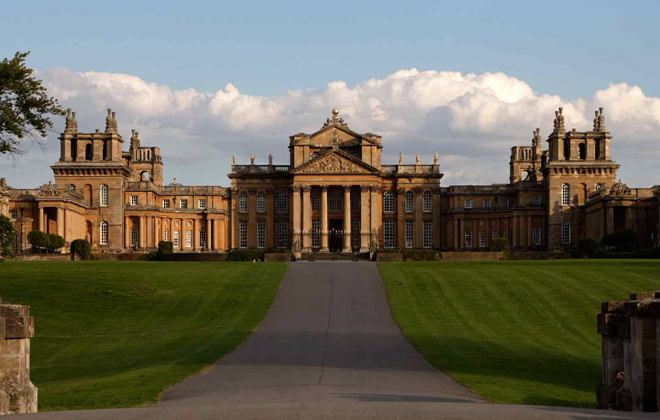 Stunningly beautiful Blenheim Palace. Photo by Getty Images. Stunning spread! Like from another era. Photo from @nicolecoullier. This is the third time Dior has shown collections at Blenheim. The first show was held in 1953, arranged by Monsieur Dior himself with the help of the Duchess of Marlborough in honor of the British Red Cross initiative. The illustrious house then made its second appearance after Dior’s untimely death, with the 22-year-old Yves Saint Laurent at the helms. 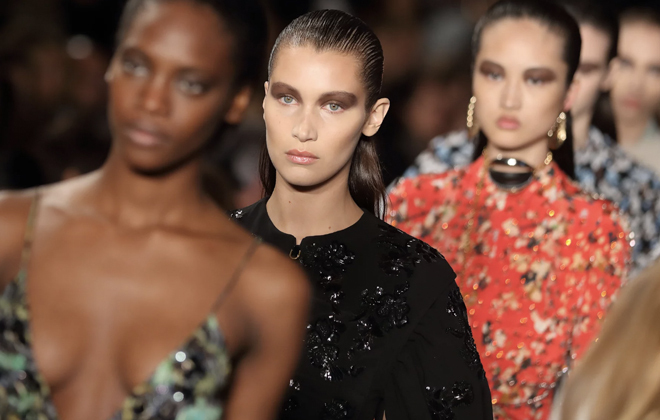 Today, the newly refreshed Dior team paid homage to this history by having the models walk the same path, atop a patterned carpet on floor level with the guests, creating an intimate viewing environment. Walking down the aisle at Blenheim Palace. Photo from @Dior. This show also made a big splash because it is the first cruise collection showed since Raf Simmon’s departure as Creative Director in October. Lead by in-house design team Serge Ruffieux and Lucie Meier, the collection did receive mixed reviews. You can watch the entire show here. And of course, there were the clothes themselves! Layers, patterns, overlapping prints, embellishments, it was quite a feast for the eyes as well. Delicate silky silhouettes paired with clunky patten-leather and gold boots; blues, greens, and greys tempered with pops of aqua; dresses like tapestries, and asymmetrical everything. As always, I’m glad to see so many ornate and beautiful textiles and patterns! Seems to be trend with a lot of fashion houses lately. Gorgeous details. Photo: Courtesy of Fashion To Max Official / @fashiontomax. 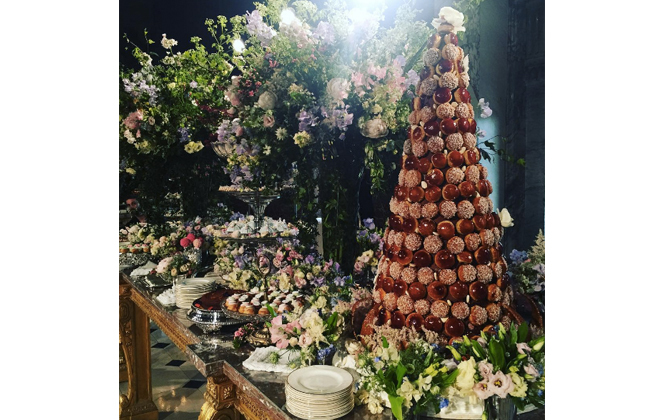 I have to say that despite the media blitz surrounding the event, Dior at Blenheim truly does remain one of the chicest events of the year. 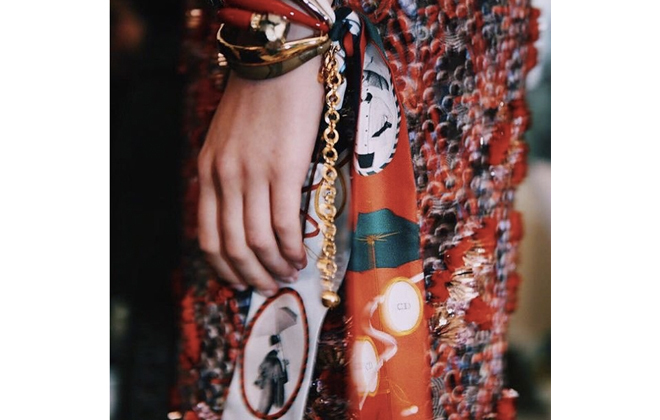 I love how the house is constantly looking back to that fabulous old world glamour and elegance, while still pushing their new collections forward, creating new, fresh designs for the contemporary “Lady Dior.” But they had me at the train car! 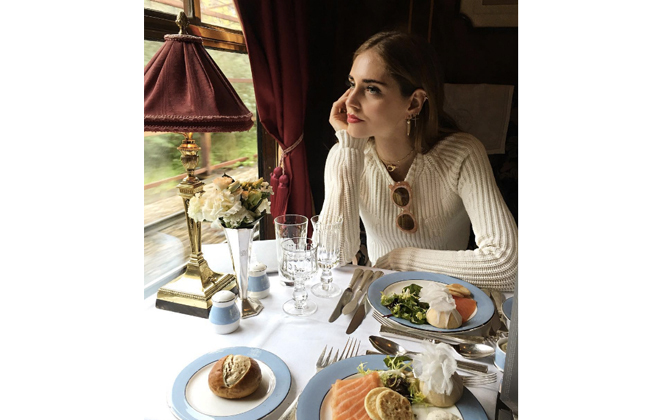 Everything from the train attendants dressed in Dior, to the embroidered napkins and champagne, what a complete treat!